"A fresh new company with many talents and clearly big ideas." by Alexander Garfath, Sara Saddington and Sarah-Jane Wingrove. Our first project as Handheld Arts was commissioned by the Broadway Theatre in Barking to deliver their summer youth theatre project. Over the course of one week Sarah-Jane and Sara worked with twenty-seven 5 - 18 year olds to create a new performance using Belloc's Cautionary Tales as a stimulus. The final performance was a fast-paced and anarchic ensemble exploration of what happens to people who leave on their laptops, 'super-poke' their friends and encounter a scrabble-playing ghost dog in a derelict theatre. by Alexander Garfath, Sara Saddington, Sarah-Jane Wingrove and Ilana Winterstein. “Nobody wants to feel cold at night, not even the sun. The Knitted Promise is made for children aged 3 – 7 and incorporates strong themes of community and responsibility. The show uses puppetry, physical theatre, and rich media design to enchant and delight small and big people alike. 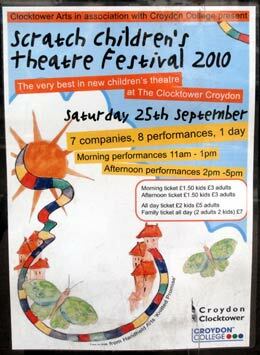 Previously performed at the Croydon Clocktower Children's Theatre Scratch Festival 2010. "Very enthusiastic actors. Lovely story with 'hidden' message! Imaginative for children and adults." by Alexander Garfath and Sarah-Jane Wingrove. 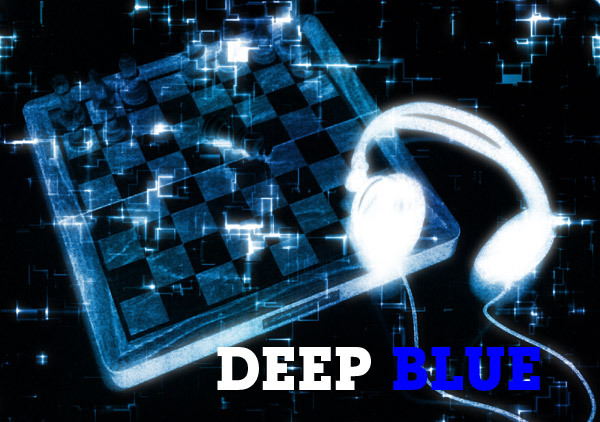 Man vs. Machine: a performance work inspired by the 1997 chess tournament between world champion Garry Kasparov and the IBM supercomputer Deep Blue. The series of 6 matches was marketed as the ultimate test of Man against Machine sparking global interest in the contest. The Machine won the series but Kasparov was convinced of human interference by IBM and at key moments during the contest he felt that the computer played moves that “only a human would make”. This production explored an evolving love/hate relationship between humanity and technology. Performed as part of Freshly Scratched 2011 at the Battersea Arts Centre.